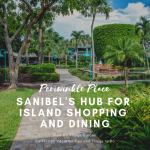 If you’re planning to spend the day on the beautiful beaches of Sanibel Island and Captiva, you’ll drive right past the Sanibel Outlets Mall on Summerlin Road. 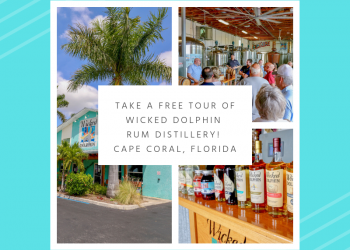 There’s plenty of free parking outside the 40+ shops that also line McGregor Boulevard on the road to and from the Sanibel Causeway and just minutes from Fort Myers Beach. 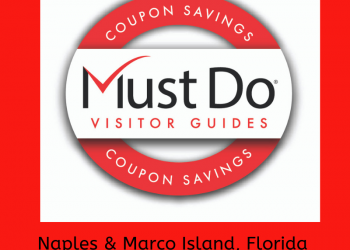 First stop should be at Shopper Services in the center of the strip mall where you can pick up a coupon book containing over $450 of discounts and offers. Who doesn’t love a bargain! 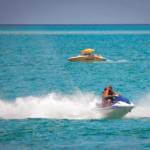 Brand name discounts and bargains include top names from the world of designer clothing, bags and sporting goods. Some of the latest arrivals are Levi’s Outlet Store and Butterfly Beach. For clothing, prices are slashed at Banana Republic, Calvin Klein, Brooks Brothers, Gap Outlet, Van Heusen and Bon Worth (reputedly America’s Favorite Mother Daughter Store). 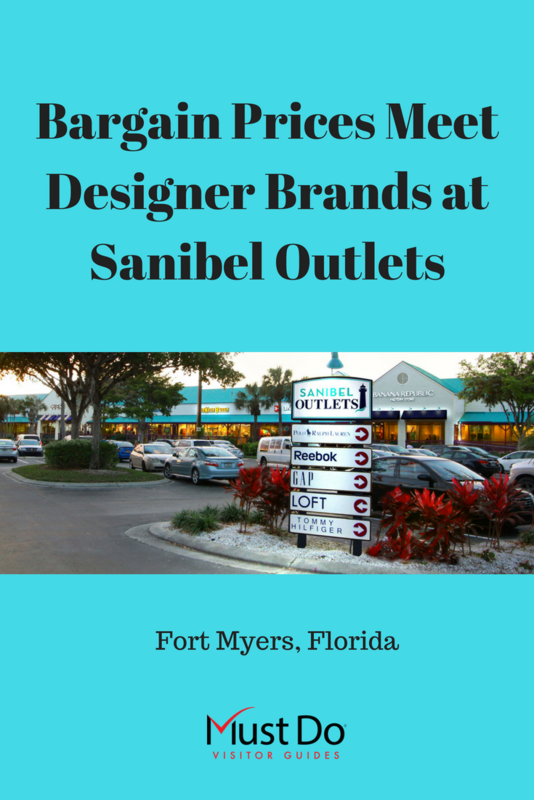 End of lines, last season’s fashions, and overstock items are all offered at hugely discounted prices making Sanibel Outlets a paradise for shopaholics who love a bargain! If you’re heading to the beach, stop by and pick up new beachwear from Swim Mart, a new bestseller from Book Warehouse or a pair of trendy sunshades from Sunglasses Hut. More sunglasses and shady headgear are available from Nationwide Collectibles and Hats. There’s a good choice of footwear for all occasions at Famous Footwear, Nike, Crocs Outlet, SAS Shoes, Under Armour, and Rack Room Shoes. 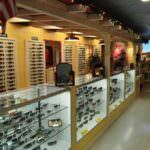 Golfers may prefer to pick up some tasteful accessories, shoes, bags, hats and even clubs at Golf 4 Less. Hanes Brand, Jockey, Calvin Klein and Maidenform have underwear sorted for all the family. Children are well catered for with top quality clothing and goods at Carter’s Babies and Kids, Osh Kosh B’gosh, and Gymboree. Everyone knows that the Florida sun, sea, and sand can play havoc with skin, hair, and nails, but Sanibel Outlets can fix all that in a jiffy. Take home some moisturizing products from Bath and Body Works or make an appointment for a manicure and pedicure at the Dream Nail Spa (walk-ins welcome). You can also get a waxing treatment to show off that new bikini to best advantage! Hair services, from a quick wash and trim to full color and cut, can be arranged at Salon by Design. If all this shopping leaves you in need of refreshments, the Island Java Café is well positioned roadside. As well as hot and cold drinks and sandwiches, this relaxed and friendly café has public restrooms and internet services for customers. 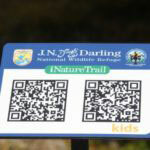 Tables overlooking the Nature Observation Area are the perfect place to rest your feet (and your wallet) and enjoy a boat ice cream sundae or pastry treat. We’ve barely touched on kitchen gadgets, houseware, gifts, accessories and jewelry which can be found at the lowest prices at several stores including Kitchen Collection, Loft Outlet, and Butterfly Beach. 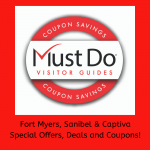 Next time you’re passing, make a point of stopping at Sanibel Outlets and see what’s on offer. 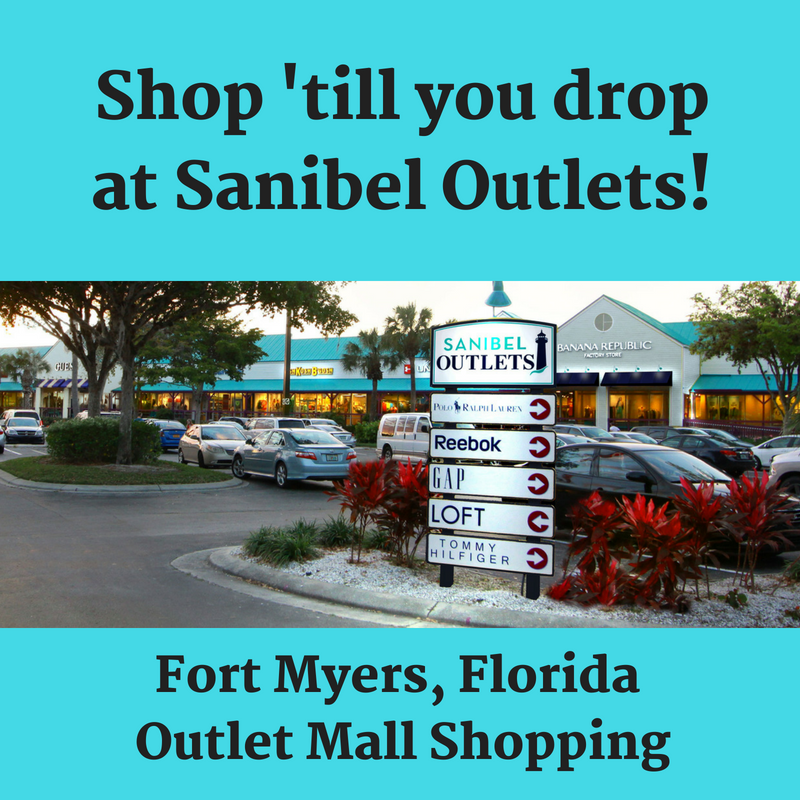 Open daily from 10 a.m. to 9 p.m. (11 a.m. to 6 p.m. on Sundays), Sanibel Outlets is just the right size mall to stop, browse, or enjoy refreshments. Happy bargain hunting!